Legends are made over time, through consistency, courage and character. 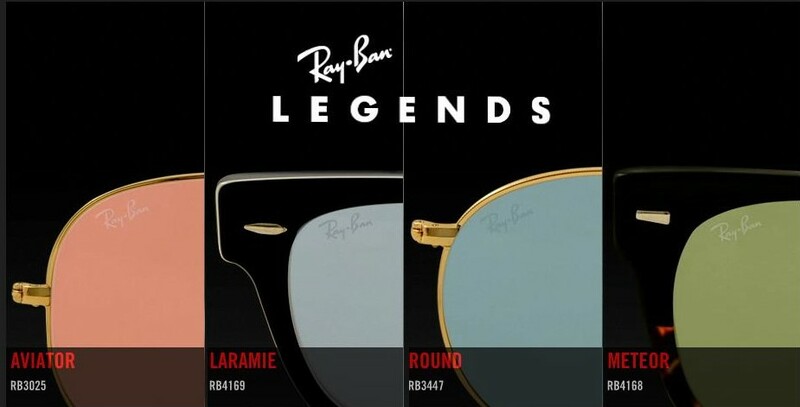 The same can be said for the new Ray-Ban Legends collection. Four iconic glasses from the classic Ray-Ban collection(Aviator RB3025,Laramie RB4169,Round RB3447,Meteor RB4168), all re-invented in premium materials and in three vintage lens colors, guaranteeing your look’s as original as the frames themselves.